We often think that happiness lies in the big things. We believe that completion brings freedom and we are limited by the expectations we place on specific event, goals or dream to be perfect before we believe in the success of it. Today, experience happiness in the small things. 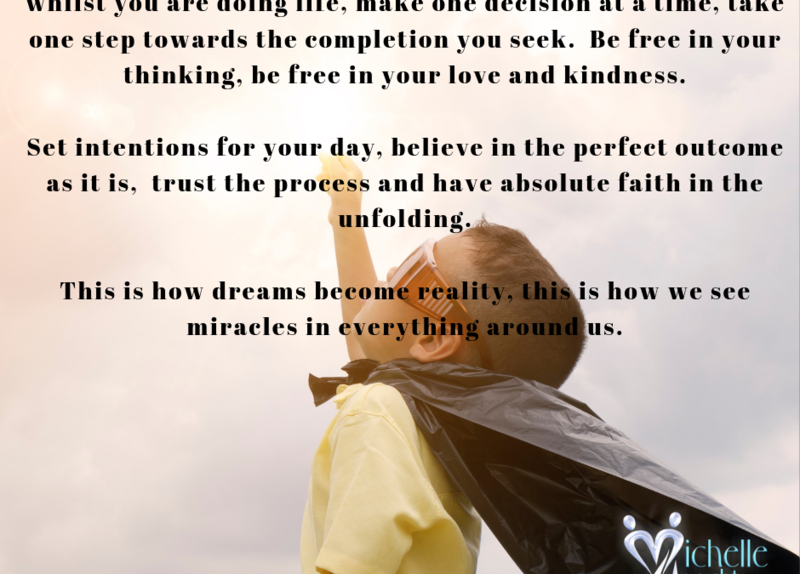 Feel free whilst you are doing live, make one decision at a time, taking one step towards completion, be free in that, be free in your thinking, be free in your love and kindness – be free in your mind and heart. Set intentions for your day, believe in the perfect outcome always, trust the process and have absolute faith in the unfolding. This is how dreams become reality, this is how we enjoy the journey, this is how we see miracles in everything around us. Sending you trust, love and the absolute belief in dreams again! PS: THIS WEEKEND WE HAD AN AMAZING TIME AT THE ALIGN YOUR VIBE RETREAT! HERE ARE SOME TESTIMONIALS!